Meizu just announced that it has sold nearly 3 million phones last month, and no wonder, given the excellent crop it made this year, headed by the M2 Note we reviewed not long ago, but also by the M2 and the MX5. The company is not resting on its laurels, though, and pushed further with a brand new logo redesign, saying that the best is yet to come, with a flagship Meizu ME5 rumored to arrive later this year. How flagship? Well, it apparently be powered by an Exynos 7420 chipset, the same 14nm futureproof silicon by Samsung that is in the S6 or the Note5. That chipset powerhouse just scored the whopping 69,000 on AnTuTu from a Meizu phone (possibly the ME5), proving once again that it is the fastest processor in the Android world at the moment. The new ME5 flagship will apparently land in two versions, though - one with a 5.5" 1080p display, said Exynos 7420, and 3 GB RAM, as well as a Pro edition, possibly with a deca-core Helio X20 processor, and 4 GB of RAM. In any case, both should share a 21 MP camera on the back with f/1.8 aperture, but the Pro might add OIS, as well as a 6.2 MP frontal shooter, tip the insiders. The battery pack of the latter is said to be 3600 mAh, which is quite generous for a phone that will allegedly be sub-8mm thick. The downside is that the spec'd-out version of the ME5 is said to cost about 5000 yuan, which is more than $700, so Meizu has to really impress us with its creation, if this tag turns out to be credible. The source claims that the ME5 Pro would have a premium glass-and-metal-frame design, as well as a very bright AUO display with 20000:1 contrast ratio and lo reflectivity, so we can't wait for more info to seep through. 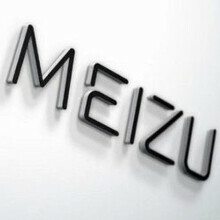 Congratulation to Meizu. That's quite a big archivement. You sell 3 million phone a month, more than Blackberry around 1 million/quarter. iPhone 6-6 Plus around 45000 iPhone 5S: around 38000 iPhone 5: around 27000 And so on. Does it matter. Antutu is not cross-platform and hence a score X on iOS is not equal to score X on android. Unlike GFXBench or GeekBench, you can't compare scores here due to the different scripts used. One thing is sure that the phone will be great but the price is now indigestible, should be below $500. I thought the Exynos 7420 was faster than the X20 considering that the X20's GPU is weaker than the one in the iPhone 5s. It is faster and more efficient. Making a gazillion cores to get high score in multicore antutu is not how you make good SoCs. That chip will lag even in playing clash of clans, like the M9+ does. Playing games of phone is as absurd as can be, total BS. Games like clash of clans make sense only on phones. And yes, they are fun. The X20 Will Be Using The New Mail-T880 It Will Be Better Than The 7420. The M9+ Uses The X10 Not The Unreleased X20. Firstly, there is absolutely no proof that it uses the T880. They are just speculations. Secondly, even if it uses a T880, unless it uses an MP8 configuration, it won't beat the T760 MP8 found in the 7420 as the 7420 uses 14 nm design. It's the same for the A72 cores. The X20 only got 2 of them v/s 4 14 nm A57 ones on 7420. Good SoCs are not made by numbers or cores. They are made by proper combination of design, balance and manufacturing process. T880MP6 should beat a T760MP8, just saying. Rumors put the T880MP4 in the Mediatek X20, IF it is true it should had quite some power in the GPU too, but lower than 7420. But will see how they perform when they get to the market, as the X20 won´t be against the Exynos7420, but the next iteration, whatever Samsung will call it. T880MP6 may not beat T760MP8. Remember that the manufacturing process makes a huge difference and the T760MP8 is made on 14 nm, while the T880MP6 can have issues due to it's thermal footprint and throttle much sooner. Yes, I was talking at the same frequency and speed, but if it does not beat it it would be pretty near. Do the math yourself: Each MaliT880 has 1.8 higher performance than MaliT760. MaliT880 runs at 700 MHz in 20nm MaliT760 runs at 772 MHz in 14nm 6*1.8*700/(8*772)=1.224 So the MaliT880MP6 would be (theoretically) 22% better even at 20nm. In real life that would be more like a 10%. Same calculation for the MaliT880MP4 gives a 22% advantage to the Mali760MP8, which will probably be near the real outcome. It's not just the frequency, the process itself makes for a 30% better performance. A mali T760 at 772 MHz at 14 nm will be about 20-30% faster than a mali T760 at 772 MHz on 20 nm. Then there is the factor of throttling and power consumption. The T880 is not made for phones after all, the T860 is. One more thing: Is there any proof that the X20 uses the T880. AFAIK, the exact GPU was not specified. Sorry but your are really wrong there: process itself does not make for any better performance!!! Smaller nodes allow for just one thing: smaller transistors a) Smaller transistors allow to pack more of them in the same space (Moores law) b) Smaller transistors use less energy each so you can have more transistors or/and higher frequencies Moving from T760 to T880 is and example of having more transistors per core, and the frequency bump of 7420 is one example of the second Throttling would be a different issue, I'm not sure it would be possible to pack a T880MP6 in the 20nm (T880 is optimized for 16/14nm FinFET) so it could lead to throttling issues. As per the GPU there was some time ago a leak (and for now the leak has been spot on) on what they would use: T880MP4@700MHzhttp://news.mydrivers.com/1/424/424569.htm You can compare the leak with Mediatek own information:http://heliox20.com/ But as they normally do they don't confirm the GPU. FinFet decreases voltage leak and hence provides extra performance. FinFET decreases current leak and therefore allows for higher frequencies and/or extra transistors (as they produce less heat), which in turn provides extra performance. Again: process DO NOT provide extra performance by themselves, better designs/more transistors/higher frequencies do. Better design does it. That's what I was saying from the start. Finney is superior to HKMG. Only that in this case the better design (one would expect at least) would be the MaliT880 as it is newer. I was saying about chip design as it can become more efficient, elements can be moved. There is also this huge difference between LPDDR4 and LPDDR3. The T760 in 7420 will be well fed with the memory bandwidth compares to half the bus wodth of the 12.6 GB/s memory controller in the X20. Remember the difference GDDR5 makes compared to GDDR3 in PCs. OK, that could make a difference, I would like to see how the perform in real life before going into any conclusion. X20 Will Be Better Than The 7420. Wow, what a comeback. I can clearly see the butthurt. Nope Cause All I Was Trying To Say Was That The X20 Will Be Better Than The 7420. And I'll Stand By That Statement Till Proven Wrong. You'll probably be proven wrong. Look at my calculations in the previous comments: GPU is theoretically 22% worse in the X20. CPU will be slightly inferior for heavy loads due to the dual core A72 against quad core A57 The only part where the X20 will be better will be in very well threaded applications with small threads (read Chrome) But we'll have to see the benchmarks to prove it.